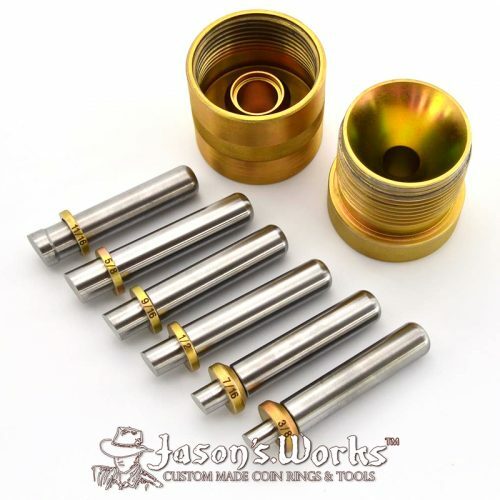 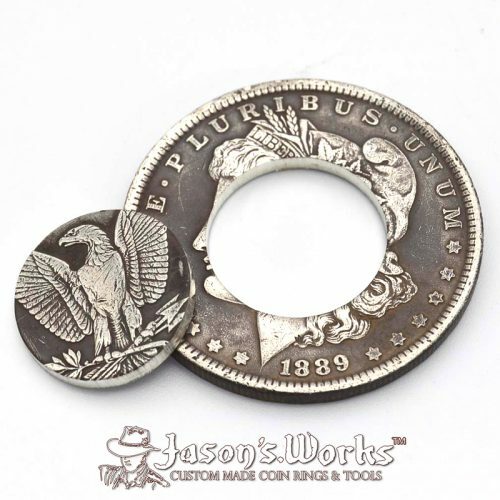 A punch that automatically centers a coin or any round planchet and punches up to 9 different sized holes of your choice. 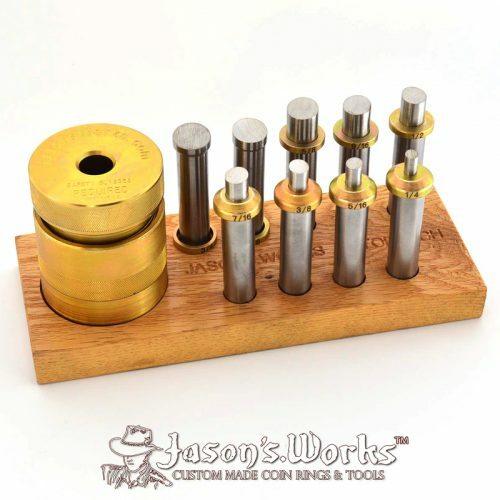 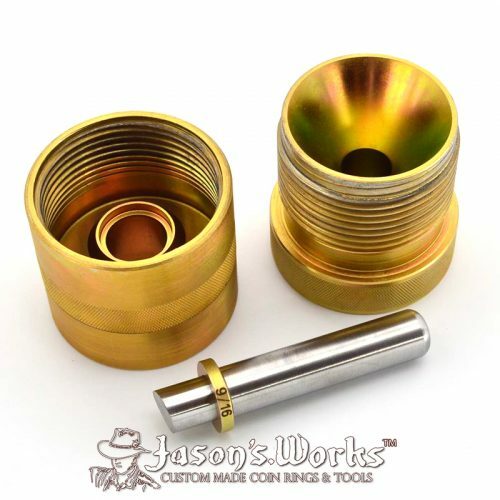 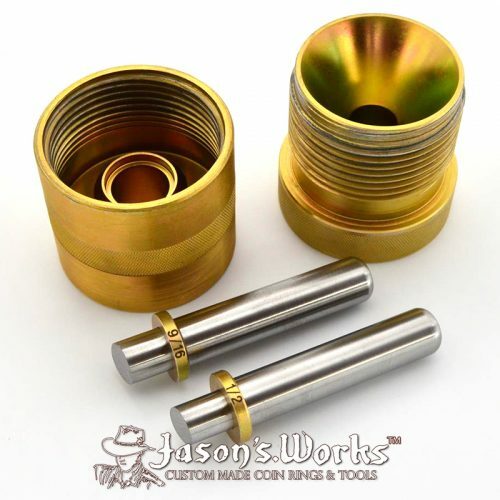 With a screw down top, you can use a brass hammer or hydraulic press. 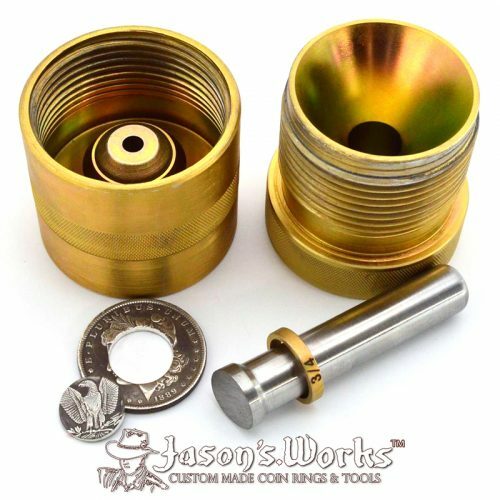 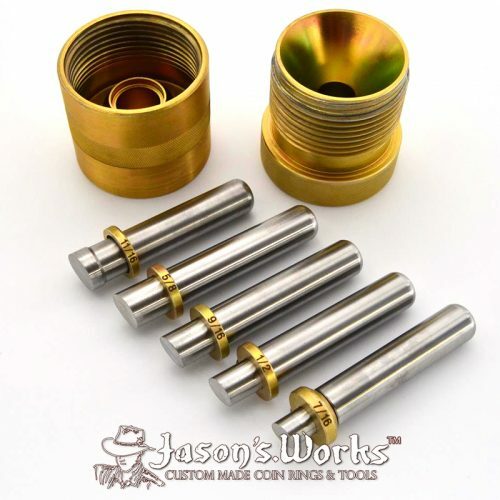 (NOTE: The Auto punches will not work in the classic self centering punch) (NOTE: Punch housing not included) Choose the punch size you would like. 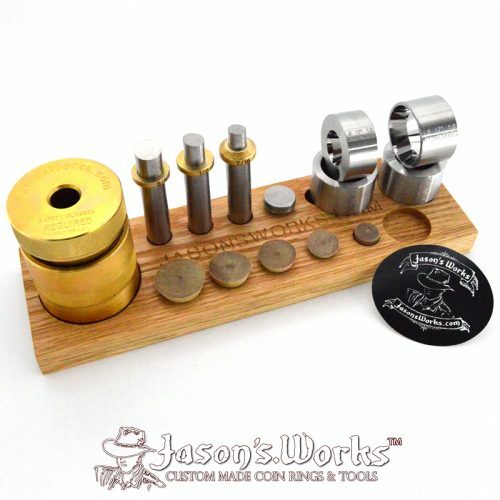 For multiple punches, please add multiple orders to your cart. 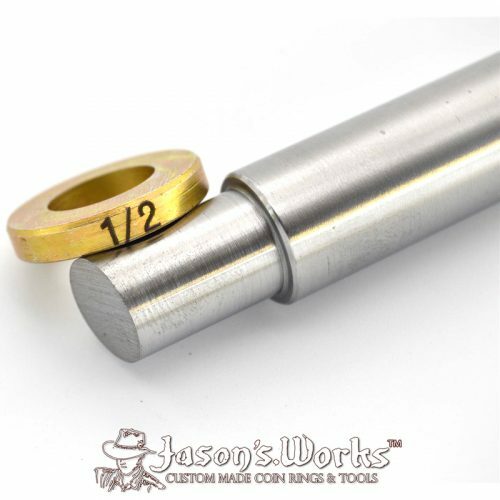 The hole size has a direct effect on the band width of the finished ring. 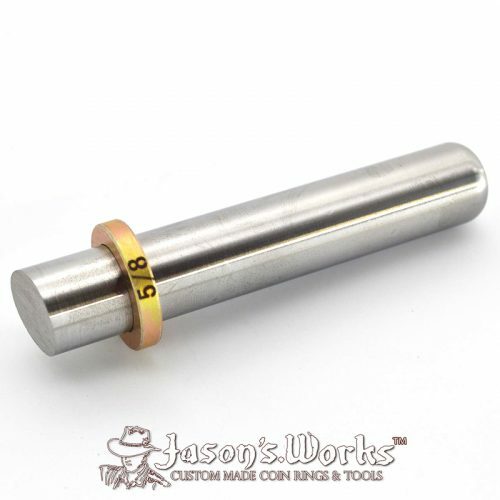 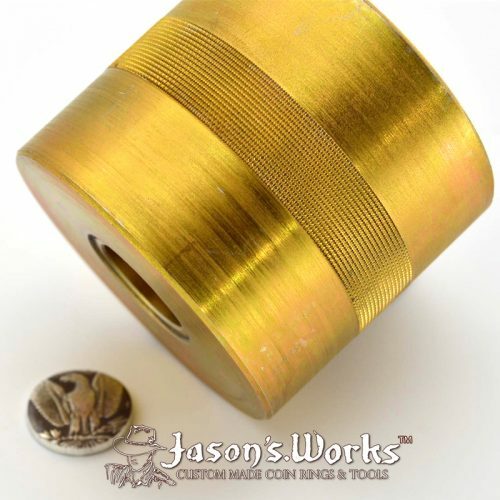 The bigger the hole, the smaller the band width for a specific coin. 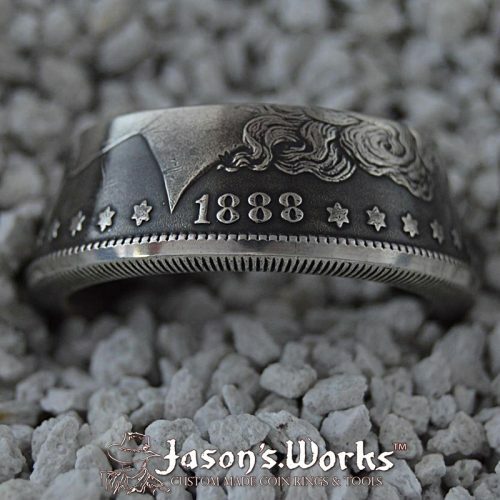 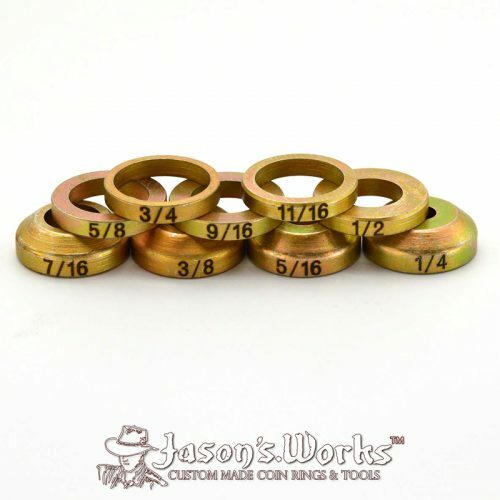 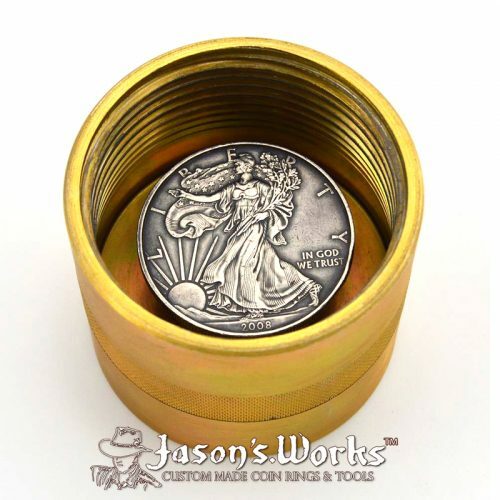 I believe the largest possible ring sizes for coins look best with a wider bands as the material stretches thinner and the smallest possible ring sizes for coins look best with larger holes as the material compresses and elongates.